The Birthday Present add-on is a good way to increase customer loyalty. 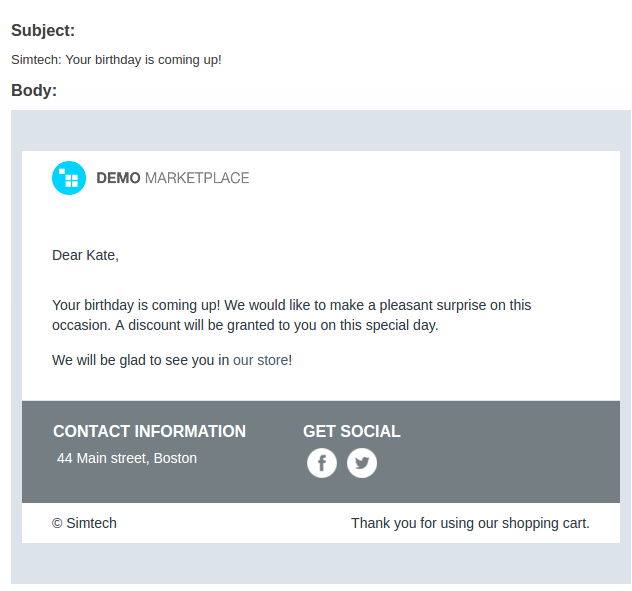 You do not have to control the birthday campaign - the application automatically sends clients a notification about the gift on their birthdays. None of your customers will be ignored. When the user registers at the online store, he adds his date of birth and the system marks the information on its calendar. The administrator specifies a gift for the user. It can be a discount on certain goods, a gift certificate, or a free product. On the specified date, the gift notification is sent to the customer via email. You can set up a cron job to run it according to a schedule. CRON_PASSWORD is the access key to cron script that you can find under Settings -> Security settings in the admin panel. To add the date of birth in a profile, you need to have the Age verification add-on installed. Install the Age verification add-­on. Install the Birthday present add-­on. 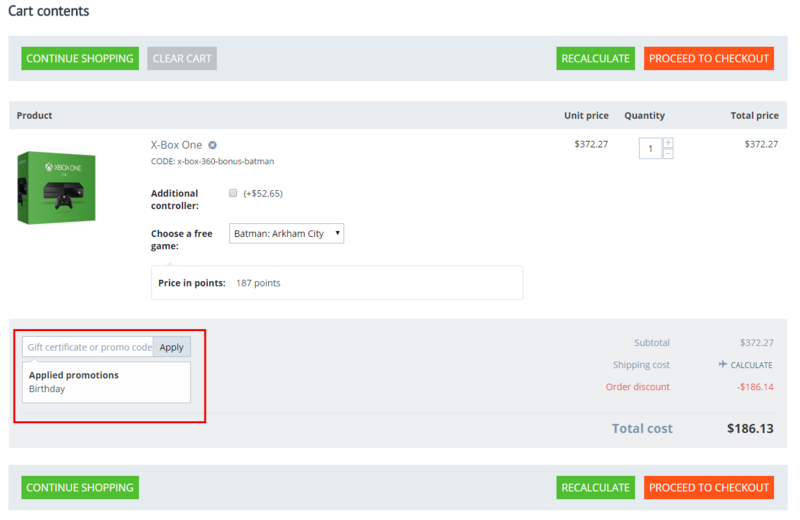 Create a cart promotion (Marketing >Promotions) with the Birthday condition and the desired bonuses (e.g. a 50% discount on the order). On a certain day, the customer gets an email notifying of a personal bonus. When a customer buys something on a birthday, the Birthday promotion is applied to the order. [~] The add-on became compatible with CS-Cart, Multi-Vendor 4.3.1 - 4.5.2. [~] A limitation on the age of the birthday greeting receiving was added. If a customer had registered with the year of registration instead of their year of birth they will not get a congratulation on one-year birthday anniversary.